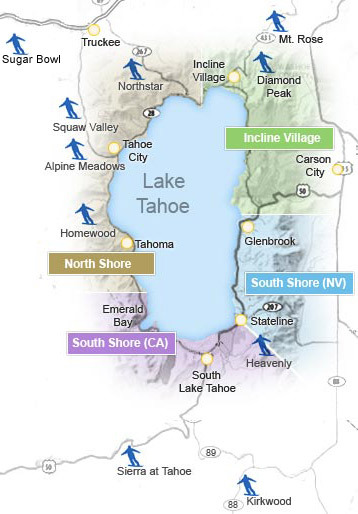 We know that planning a trip to Tahoe takes a lot of hard work, so we made this guide to help you each step of the way. North Lake vs South Lake? Need rentals and/or lift tickets? Prefer personalized support from one of our ski vacation concierges? Enter your email and/or phone number below to be contacted within 24 hours. Lake Tahoe is the largest alpine lake in North America, situated on the border between California and Nevada. At 22 miles long and 12 miles wide, getting from one side to the other is no small feat. So your first decision to make is whether you want to visit North Tahoe or South Lake Tahoe. North Tahoe is known for its many cabins and quiet, small mountain-town feel. It is a bit more spread out, and there are eight major ski resorts to choose from. South Lake Tahoe is much more centralized, and is known for its casinos, hotels, and a full suite of nightlife options for tourists. There are three major resorts on the south shore. Like most places in the year 2019, you can plug in any ski resort or hotel to Google Maps, and you'll *likely* be fine. However, when there is active weather, online maps are rarely updated in realtime for live road conditions. Especially this winter, road closures and detours are sufficiently likely that it is always worth checking the Caltrans website for road conditions before (and during) your trip. If you end up taking a lesson with us, all of our lessons for the '16/17 season take place at Homewood, which is located at 5145 W Lake Blvd, Homewood, CA 96141, which is on the west shore of Lake Tahoe, 10 minutes from Tahoe city. There's only two main highways into or out of Tahoe. 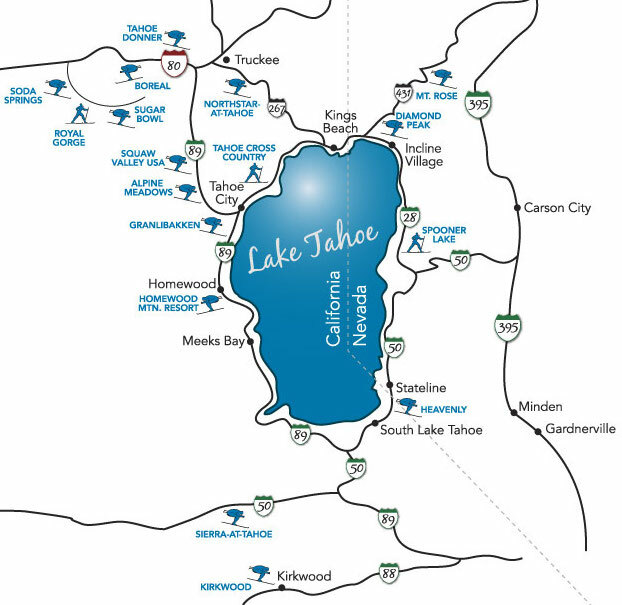 Interstate 80 is the primary route for those visiting North Tahoe, while Highway 50 is the road to get into South Lake Tahoe. I-80 is two lanes each direction the whole way, which means it can accommodate a bit more traffic flow, but it is also a major trucking route, so you will have to deal with passing trucks slowly making the climb. US-50 is one lane each way once you get past the foothills, with occasional passing lanes. Plan around traffic - especially during this '16/17 season with the epic snow conditions we're seeing, weekend traffic to Tahoe can be as bad as Los Angeles during rush hour. To minimze your time spent in a car and maximize your time outside, we recommend leaving the Bay Area before 2pm on Fridays or after 7pm (leaving the office 'early' at 330pm doesn't actually help.) Likewise, on the drive back on Sunday, it's best to either hit the road before 3pm, or to just take your time, have an early dinner, and then leave Tahoe after 530pm. Both major highways are subject to chain control almost anytime that it snows, and do occasionally close down completely due to unsafe visibility or avalanche risk. 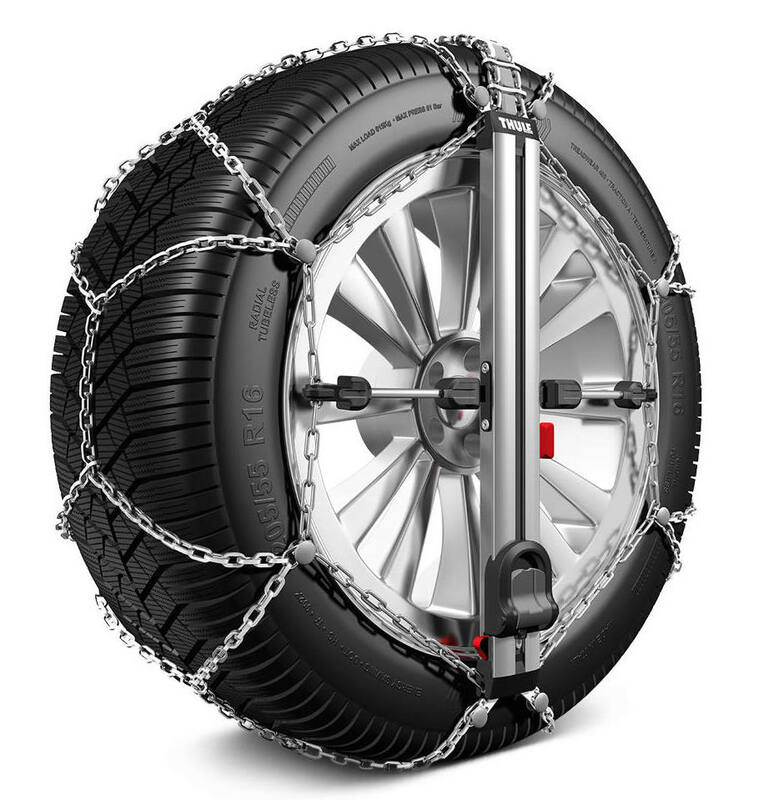 For those new to winter driving, chains are like metal crampons that wrap around your tires to help with traction on snow and ice. When chain control is in effect, there will be a check point operated by CalTrans where you will be forced to put on chains (and buy them if you don't have any) in order to proceed, unless you have a vehicle with 4-wheel drive and snow tires. It's always best to check road conditions before your trip. You can also follow us on Twitter to get crucial updates about road conditions. While the drive from the Bay Area to Tahoe is typically around 3.5 hours, be aware that traffic and weather can sometimes combine to double or even triple your driving time. As such, always be sure to start with a full tank of gas, and have some extra snacks or water in the car, especially when traveling with children. Popular pit stops - 3+ hours is a long-time to be in a car, whether you're 4 years old or 40, so here are a few good places to stop and refuel. Ikeda's Burgers & Pies - in Auburn (exit 122 on I-80) - this would be a great stop even if they only sold burgers. But their pies... so good you'll want to order at least one extra for the road. Plus the market next store is like a mini-Trade Joe's with great produce & basic essentials for the weekend. Chic-fil-A - while we will probably never find one within the city limits of San Francisco, I-80 is dotted with five Chic-Fil-A locations along the way, from Vallejo (exit 33) to Roseville (exit 106). Z-Pie - in Placerville (exit 46 on US-50) also has great pies, of a different variety. Their gourmet pot pies are made fresh daily, and make for a hearty snack or quick dinner after a fun day on the mountain. Coconut on T - in downtown Sacramento just off of I-80 Business before it turns into US-50, terrific curry's and pad thai. Their old location was constantly overcrowded, so with the bigger new location, you likely won't even have to wait more than a few minutes to be seated. The Bay Area Ski Bus is exactly what it sounds like. With 10+ pickup locations in San Francisco, the south bay, and the east bay, they'll take you to and from Tahoe on a day trip to various resorts for just $165, which includes your lift ticket and a continental breakfast. Bay Area Ski Bus has been around since 1996 and is the biggest operator we know of, but there's also a few others now offering similar routes, such as Tahoe Snow and Sun Tours and the soon-to-launch Tahoe Tech Bus from downtown SF, as well as MegaBus.com if you are coming from Sacramento. SnowPals.org is one of the oldest online communities of Tahoe skiers & snowboarders living in the Bay Area, and they offer a free rideshare mailing list to coordinate carpools with over 7,800 members. People can post ride offers or request, and passengers are typically expected to chip in for the cost of gas and tolls. A brand new service launched in 2017 called BlackBird, which offers direct flights from Palo Alto to Truckee for just $125! Offering a "private flight experience at a budget airline price", they'll get you to Tahoe in 45minutes vs. a 3-5 hour drive. If you're flying in from afar, the Reno International airport is the closest major airport and is about an hour from North Tahoe and 1hr 15min to South Lake. Reno is often considered the "the Biggest Little City" destination for gambling, so if that's your thing, worth spending your first night in town. Once there, you'll have plenty of options for eithering renting a car or taking one of many ski shuttles that run from Reno to the ski resorts. If you want to maximize your days on the mountain within a budget, keep in mind that most resorts will offer you a free or discounted lift ticket on the same day you fly, so hold on to that boarding pass. Step 1 - Decide where you want to ski. Both North Tahoe & South Tahoe each have a full range of accommodations options from budget to luxury, but we'd all rather drive 10 minutes to the slopes than over an hour, and driving from one end of the lake to the other can be brutal, especially in bad weather. Step 2 - Search Google, Airbnb, and/or a few of the other rental listing agencies below. Tahoe Luxury Properties - definitive leader in 5-star accommodations & concierge support. Step 2b) If you're staying in North Tahoe and want some more inspiration, below are our favorite places in North Tahoe that we can personally vouch for. Each of these properties are great for families and owned by lovely hosts with invaluable local knowledge to help guide your stay; note that availability can be limited especially over holidays. **Please note that Airbnb prices are subject to change. Prices last updated on 1/24/17. Tahoe has been a world-renowned skiing destination since the early 1900s, and boasts 16 resorts within 35 miles of the lake. Each mountain has its own unique atmosphere and terrain, with price points varying from the budget-friendly to 5-star luxury. Below you'll find our experiential and unscientific ranking of each resort. Compare all resorts or click a specific resort below to explore additional details for each ski area. 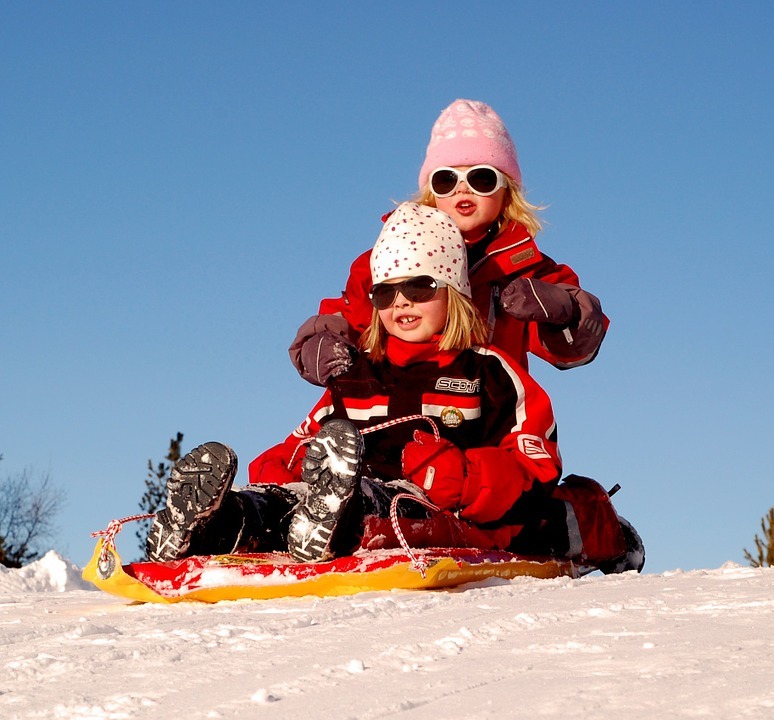 We encourage all guests to book tickets for the sledding hill online in advance. When you do so, you'll be able to complete the mandatory waiver online, and you will then receive an electronic confirmation that you can present directly at the sled hill. Unless you purchase online, expect to wait in line at least 45 minutes on weekends and holidays. All sled hill tickets include a saucer rental for the day. Guest staying at the Granlibakken lodge are eligible to receive 50% off. An all-season sledding pass is available for $75/person. Personally not a fan of skiing or snowboardng? Tahoe has activities for everyone! Whether you're staying in North Tahoe or South Lake, there are plenty of other ways to enjoy Tahoe. If the weather is nice, we highly encourage getting outside and finding a bit of elevation to take in the picturesque views that have made Tahoe famous for so many years. When it's blowing snow in all directions, a spa day may be just what the doctor ordered. Sledding (FREE!) - check out the most popular locations. Snowshoeing - rentals available from Tahoe Dave's for just $20/day. Tubing at Squaw Valley or Granlibakken. Cross-country skiing - the Tahoe City XC Center is our favorite! Learn how to fly a Snow Kite at Royal Gorge (near Sugar Bowl). Enjoy sledding, XC, snowshoeing, or ice skating on the brand new outdoor rink at the Tahoe City Winter Sports Park. Catch a matinee at the The Haus movie theatre in Tahoe City. Enjoy an afternoon of shopping in downtown Tahoe City. Spa Day - treat yourself at the Northstar village spa or the Trilogy Spa at Squaw Valley. Coffeebar in Truckee ($) No frills, just great coffee, sandwhiches, and snacks. Fat Calf in Tahoe City ($$) Open late, an upbeat bar & grill with classic American dishes, cocktails & regular live music..
Tahoe Mountain Brewing Company ($$) Incredibly balanced, elegant and innovative beers. Tons of ales to try, and super chill and welcoming atmosphere to boot. Fifty Fifty Brewing Company in Truckee ($$) Warm, inviting brewpub with a diverse selection of craft beer and good food. Known best for their award-winning Eclipse, a barrel-aged stout. Marty's Cafe in Truckee ($$) A pioneer in serving French-California cuisine at affordable prices. Cottonwood Restaurant in Truckee ($$$) Housed in a historic ski lodge, boasting eclectic meals & deck seating with views of historic downtown Truckee. Gar Woods Grill & Pier in Carnelian Bay ($$$) fresh fish, contemporary American cuisine with beautiful lakeside dining. MacDuff's Pub in South Lake Tahoe ($$) is by far the best Scottish Pub in Tahoe, with a friendly atmosphere and great combination of food and beer. Yes! Since early 2016, Uber and Lyft have both had drivers in both North and South Lake Tahoe. However, expect wait times to typicall be in the 10-15 minutes range, and fares will likely be a bit higher than in San Francisco or Sacramento, to compensate for the longer distances drivers must travel to pick you up. Homewood: West Shore Cafe - enjoy free s'mores and $5 draft beer. Alpine Meadows: The Chalet - Bavarian-style beer garden next to Scott chair. Squaw: Le Chamois - the classic outdoor Après scene, a must-do after spring skiing. Northstar: TC's Pub - classic sports bar in the village with burgers & TVs. Trip planned already, and now you're ready to book a lesson?